Infill - Honey comb board infill between the layers of door panels for strenght & stability. 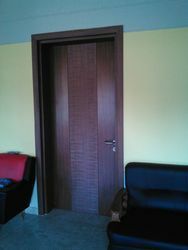 We are leading supplier of ABS Doors. Keeping the diverse requirements of customers in mind, we are instrumental in providing ABS Door. 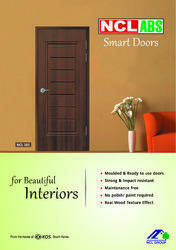 Being a customer oriented firm, we are providing a premium quality range of ABS Door. Size: 82" x 27" & 30"
To retain our goodwill in clients' consideration, we are manufacturing an excellent range of ABS Door. We are highly acknowledged organization engaged in presenting a remarkable range of Flush Door.